"With Anydesk, bandwidth is maximized even if it is not as efficient"
In the company where I work there are branches in different states of the country that are far apart. And we are in charge of providing support services to these branches, for this a remote access tool is necessary, as is anydesk. Anydesk is a remote access tool with an internet connection anydesk is a software that works by entering the ID generated by the tool. It is placed on the remote computer and it is enough to accept the client's request to perform the remote connection. The disadvantages of remote access software will always depend on the internet speed you have, this is a weakness that handles this type of software. In addition to the moment of manipulating the tool and that needs elevation at administrator level the connection falls. And it is necessary to make another new request for access to the remote computer. with the application of the solution anydesk, the distance is not a problem to solve the faults of a computer in a remote location. Joanes Camila - Prof De Fisica . "Excellent Software to establish remote connections"
The security to determine the remote connection to different instrumentation. You have to input the address appointed by Anydesk and once you click on the button to connect mechanically on the device wherever you wish to connect, a pop-up window can seem requesting authorization to permit the association to be established. The graphical interface, it is not tranparent and user-friendly. Moreover, if the computers don't have enough ram memory the remote affiliation tends to impede and thereupon the activity that we want to perform interrupts us much. Anydesk could be a safe and reliable tool, it's multiple configuration and security choices. You could set up a customized watchword and you can conjointly configure non-contact access. You are able to have your customized address book and mechanically save the addresses of the computers to that you've established a connection. My institution uses Anydesk as a default tool to determine remote connections, both to desktop computers or servers so that if you've got a decent connection and a device with adequate resources you are able to use anydesk to perform this sort of activity.
" My remote access experience with anydesk"
Remote access to computers that are outside our internal network and beyond our distance range is necessary to use a remote access tool such as anydesk. The software anydesk works with an internet access the application generates an ID code where code is provided and through the executable file this code is pasted and access to the remote computer is granted access. Thanks to this tool we can solve equipment failures in remote places, just a stable internet connection is enough for this application to function correctly. The weakness of this software is that they depend directly on the internet connection and connection speed of the same service. Since if the velocity of affects, the experience of remote access of the equipment is also affected. This is a weakness presented by all the tools for remote access through the Internet. But only this is the flaw or weakness that this tool gives us. With the help of this software I access the equipment for remote testing with an internet connection, I have access and made the necessary configurations.
" Remote access through AnyDesk"
With the help of the tool anydesk I access the equipment that is outside the internal network and there is no way to access it via remote desktop. The anydsk tool gives me the solution to remotely access the computer with an internet connection. To access the equipment only the ID of the equipment that we want to access and send the request is placed, the remote computer will receive an access request where the user must accept the request to take control of the equipment and manage it. Remote connections show some slowness when managing remote equipment and anydesk is not a tool that escapes this rule. The response time is directly proportional to the speed of the internet connection of both users, if one of the two users presents slowness in the internet service the connection will be affected for that session. Another of the weaknesses of anysdesk is when making a configuration that requires the elevation of the administrator the connection is closed. "The most reliable remote desktop software"
AnyDesk allows me to display remote computer screen on my my screen and to have full access and control of our clients screen. Again with AnyDesk its possible to use my keyboard and mouse to have access to remote computers. The speed of connecting to remote desktop is high compared to its competitors. It's very easy to download and start using this software. Has a free trial versions and free demos. Has great multi platform support hence high flexibility. Has a relatively simple to use interface. I have no critics to say about this software because it works greatly thus I love everything it does for our organization. This software boasts about speed in accessing remote desktop compared to its competitors thus it's worth implementing. With this software its possible to schedule and conduct demonstration with my teams hence it's easy to teach my team on new changes they might not be aware about. File sharing is easy hence good collaboration during work. "Great program for screen sharing"
I like the speed with which I can connect to other computers and how simple the interface is. I can log in to the program and connect to another user within a few minutes. We have many users that are not tech savvy and they are able to connect quickly and easily. Some of the webinar features (multiple users connecting to one host) are not documented well. We purchased a licence in order to use the program not only to screen share between our head office and users, but also to use it as a webinar/multi-user screen share program. We were unaware that we needed to connect from the power user to the other user first, then switch screens in order to have that many connections. This was not written in the documentation, but was easily answered by their tech support. AnyDesk is a very powerful software that allows users to easily share screens, give control and have unattended access to computers. It has great options for install configurations, custom features and the added ability to be used for webinars. Using AnyDesk to work with clients to aid in software usage. This allows us to give real-time support with customers, rather than having to do things over the phone or make a trip to do things in person. We can easily allow customers to view and control our PCs, or vice-versa to provide support in using the program, allowing our users to learn and solve problems in real time. "Any desktop closer to the support for you"
"Any desk closer than in person"
This tool is useful to have remote connections to any computer. It also allows to pass files from one PC to another in a controlled manner. Additionally I can save all remote connections without having an ID and password memory, I can simply have the connection per day. Connect with the external accounts of the company, through the tool to provide network level support. I am interested in this tool that allows me to enter and make a connection without doing it in person.
" Remote access with anydesk"
with the tool anydesk helps me to solve problems remotely, without needing to be physically in the place of the insidencia, only with an Internet connection allows me to access the equipment and apply my work to the team that presents the failure. The tool anydesk helps me to send file from my local computer to the computer that is remotely, likewise copy files from the computer that is remote with my computer. This function makes the tool very useful. What does not guide me from the tool, is when I am connected to the remote computer and I need to make a configuration in the administrator mode, the connection with the remote computer is lost, having to reapply for access. This failure hinders the resolution of problems because if a person is not found at the other end it will be a problem to connect the access again. With the help of anydesk, I have solved problems in the branches of the company where I work, branches that are in other states. Only with an internet connection, I connect to the computer that was going to remotely make my settings without problem. No need to be physically present in the branch. Any desk is the best remote access app i have ever used. Its very Easy to use and the features are very great in it. Even if a new user is using it he/she will understand how to use it. It even works if the connection is not so strong. It really helps me out to help the people technically. It even updates the status of the people who are online or offline. I tried to use it on mobile and its very hard to click on some options. If this is a disadvantage other wise its really great to use. The UI (User interface) can be much more good and attractive of this app on mobile screen and also PC screen. 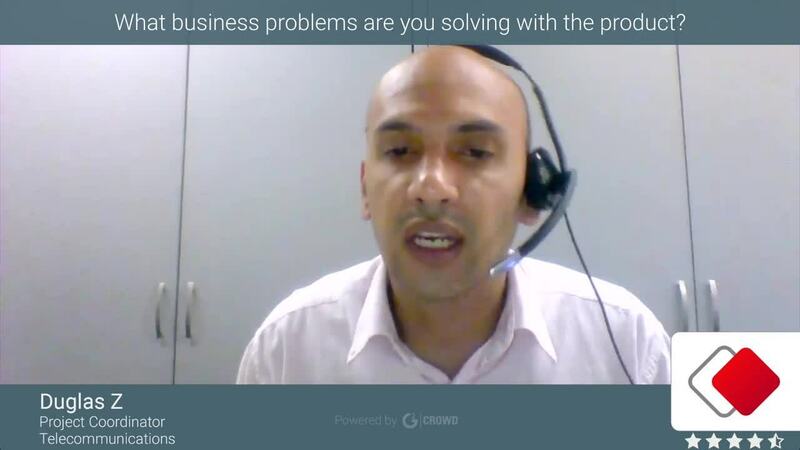 Its a great help for the people who handle their clients from remote place. If the client is having any issue we can just solve it from any remote place this is the best benefit i have realized till now. "Anydesk an option for remote support"
The security to establish the remote connection to other equipment. You need the address assigned by Anydesk and when you click on the button to connect automatically on the computer where you want to connect, a pop-up window will appear requesting authorization to allow the connection to be established. The graphical interface the truth is very robust, if the computers do not have enough ram memory the remote connection tends to slow down and with that the activity that we need to perform interrupts us a lot. Anydesk is a safe and reliable tool, it has multiple configuration and security options. You can configure a personalized password and you can also configure non-contact access. You can have your personalized address book and automatically save the addresses of the computers to which you have established a connection. Many companies use Anydesk as a default tool to establish remote connections, either to desktop computers or servers, the truth is that if you have a good internet connection and a computer with sufficient resources you can use anydesk to perform this type of activity. "Easy to use and learn"
Of the things that I like most about Anydesk, is the experience and ease of use it offers to the end users, that is to say the users to whom I give them sevice. That usually are not technical or do not have much management of remote technologies. It also offers a large number of very useful features when it comes to having to perform certain tasks on other computers. Really ... it is a very simple and easy to use application. What little I do not like about the application is that the design and colors in the work environment are not as attractive as those of the competition. In addition there are more features that could be integrated as virtual calls and / or video calls for companies that offer support through this application. I recommend this software for all the companies that need or are providing remote services, it is very easy to use and it is easy for the requesting user to install the application to be able to offer the services. Through this tool I have been able to solve problems from software configurations to diagnostic of operating systems. Follow up to users, supervision and work tasks. "The best tool to remotely observe and run your business"
What I like about AnyDesk, which is an easy-to-use tool with a nice interface, does not require a very specialized knowledge to install and configure this tool, it allows me to quickly manage access to a destination network from any terminal with internet access, you can install the application locally on your computer, you can add your own company logo to others and disable incoming or outgoing connections for information and computer security. AnyDesk, has the particularity of offering communication by chat, this gives an added value to this tool, since it facilitates the support with the remote user. I do not like that AnyDesk is not compatible with all operating systems, and that if you have the free version, it limits the number of sessions and stations to establish a remote connection. I recommend 100% AnyDesk to all the users that perform support functions, since it is a very practical tool to solve faults remotely, it has a very nice interface for any user that starts using this powerful work tool, the connections are encrypted from end to end. This guarantees the confidentiality of the communication and the security of the company's information, this software can be downloaded and installed from the Internet and it is very easy to configure its functions for the correct functioning. I have given support at fault level with corporate applications of the company, work tools, connection to databases with other offices of the company, without having to physically move to the site, which means a saving in spending money for travel in The company has improved communication channels and failure attention at the software level and operation of workstations within the company, I have acquired extensive knowledge and professional experience and security level using this tool. "AnyDesk remote access to the forefront"
is the safest remote control solution that the world trusts. Remote audio and video. Maximum security. Multiple connections Official website Multi platform. Without configuration Maximum Privacy. Continuous access Easy to use. the bad thing about Anydesk, is that if the connection goes down or there is no internet at that moment you need to connect via remote, it will fall down and it will get very slow, even it is not recommended to work without connection. Boot well with AnyDesk - without registering, without installing anything and without requiring administrative privileges. Simply download, start and continue without problems. and make the most of this wonderful tool which allows you to work very comfortably from anywhere, including your phone, laptop and others. "The best solution for accessing remote desktop." AnyDesk is fast,efficient,very secure and free for personal use. It's easy to download,install and start using. Easy to share files with my team between their remote computers. Works greatly across multiple devices like Windows,Linux and Mac. Easy to record a session we had with team members in form of a video. Although not every time,I experience drops in connection unexpectedly and this could be as a result of poor internet connectivity. I recommend it use without any hesitation. East to share screens and files with my team members. Easy to assist team members who are having issues with their remote desktops. Possible to work on remote desktop even while at home. Security is assured while using AnyDesk. What I like most is that AnyDesk is easy to use and is available all over the world. Getting started and connecting to another computer is easy. This tool come in handy when am offering IT assistance to other employees in our company. he ability to record sessions is also a great feature that I love. Well, I hate that sometimes this tool can be very slow more so when internet connection is poor on either sides. I would highly recommend any business to implement Anydesk. It is one of the best tools yet very affordable. Remote access is made easy with Anydesk. Our company is big and so am able to address different It issues without moving an inch from my office. "A better option in remote access"
"Better than other programs "
what i dislike in this program was , the fact that is internet dependet , even if a want to conect to a intranet machine i can't get acces because it needs the id to get to he machine to conect over the internet. The second subject is the pseudo chat it has to comunicate or sending message to the user in the other machine , is real bad is better to use notepad and write to the user from the screen. Do tech support to other user in anywhere i go , get in touch with the user and resolve problems with their PC's, , Thansfer files to do an update or isntall an aplication to resolve an issue. "Excellent Software to perform remote support"
It is an ideal software to perform remote support as it provides an easy installation and is quite light, has a good level of security because we can manage the passwords ourselves and thus not depend on the other person, you can make transfers of files in a quick way and has a history of the connections that have been made recently. It depends on the internet connection to be able to establish the communication between both machines, the chat to interact with the other user is a bit basic, it should be more dynamic. It has many benefits but the most important is to have control of the other person's machine to carry out preventive and corrective maintenance in a fast and efficient way, in this way the attention is much more efficient since we will not have to move to the place where the user. "Fast and relaible remote desktop software"
Anydesk is a lot cheaper compared to other remote desktop software like Teamviewer.It is easy to setup and connect with other users.It supports all the major operating systems on Windows,Mac and Linux.The speed of connecting two devices is high in velocity ensuring communication is running smoothly. It lacks useful features like the drag-drop of documents which is more simpler and fast to use. Anydesk does not consume a lot of RAM and runs well in the background without slowing down the computer. I have been able to solve technical problems that arise on computers from my colleagues who work remotely or are on a different locations using this software and also share files easily . "AnyDesk is Affordable and Easy to Set Up"
I like using AnyDesk because it allows me to connect my home computer to the office computer perfectly. AnyDesk is a reliable and fast remote desktop connection software that is suitable for us and other businesses. Setting up AnyDesk is easy. It is powerful and affordable. I have nothing bad against AnyDesk because has been 100% helpful to our team. The user-interface of AnyDesk is sensational. Therefore, I can say that it is a good tool. AnyDesk is the most suitable tool for businesses that are looking forward to improve their business operations and collaboration. I recommend it to the prospects because it is efficient and fast to use and implement. The tool has been helpful to me and my colleagues in many aspects. For instance, it allows us to work from home and upload the files or work to the main computer of the company. AnyDesk connects desktops remotely faster than any other tool. Anydesk es un software de conexión remota que nos permite controlar o compartir pantallas de forma bilateral, el mismo esta disponible para múltiples sistemas operativos entre los mas populares estan windows, ubuntu, android, entre muchos mas. Con anydesk podemos conectarnos de un escritorio a otro desde cualquier parte mundo sin ningún tipo de restricción, ademas esta herramienta es muy ligera y no requiere ser instalada para comenzar a utilizarla solo debemos ejecutar el archivo .exe que se puede descargar desde la pagina oficial de anydesk y listo, funciona como un programa portable que podemos ejecutar en cualquier equipo desde nuestro disco duro portátil o memoria USB. Muchas de las funciones de la versión gratuita de anydesk están limitadas. Existe una herramienta muy útil que anydesk te ofrece que es la usar el equipo o dispositivo de manera desatendida, esto implica que no necesitamos que del otro extremo acepten la ventana de dialogo para establecer la conexión remota. Anydesk es un software muy bueno y existe una gran comunidad de usuarios que utilizan esta herramienta, la interacción con esta herramienta es muy agradable, su interfaz gráfica es muy entendible para cualquier usuario principiante y promedio. Anydesk es una alternativa de Teamviewer, con ambos realizo básicamente la misma función, debo tener ambos software ya que uno es tan popular como el otro y muchos clientes se inclinan por uno y por otro. Con anydesk puedo compartir mi escritorio de manera segura y rápida, ademas de poder compartir archivos de manera instantánea, solventar cualquier tipo de problema que requiera de atención del equipo de IT así como realizar videoconferencias. La libreta de direcciones que te ofrece anydesk es muy útil ya que si necesitamos conectarnos posteriormente a un dispositivo no es necesario volver a escribir la dirección de anydesk sino que automáticamente se guarda en el registro de las últimas sesiones. "AnyDesk es el mejor software de escritorio remoto"
AnyDesk me agrada por que es una plataforma muy sencilla de usar, posee una interfaz increible, no requiere un conocimiento muy especializado para instalar y configurar esta herramienta, esta herramienta me permite administrar rápidamente el acceso a una red de destino desde cualquier terminal con Internet acceso. Con este software puedes instalar la aplicación muy fácil en tu computadora, podrás agregar el logotipo de su propia compañía a otros y deshabilitar las conexiones entrantes o salientes para la información y la seguridad de la computadora. Es genial la verdad que nada negativo que resaltar..
AnyDesk es muy recomendable porque es muy fácil de usar y presenta una forma gráfica más accesible, con esta plataforma puedo tener control total sobre cada una de las PC que ya se han configurado. AnyDesk te permite disfrutar de los archivos contenidos en tu ordenador desde cualquier lugar y te brinda la posibilidad de de realizar todo tipo de acciones, incluida la transferencia de archivos de un equipo a otro. AnyDesk te da los beneficios de poder trabajar con tus contacto desde dos ordenadores diferentes bajo la misma sesión, también puedes realizar alguna tarea en una PC que quizás no tengas en casa o en la oficina. "Work from the comfort of your home. " Excellent tool to work from the comfort of your home, allows you to connect from your home computer to the office computer, thus facilitating your work, if one day you can not appear in the office for any reason Any desk allows you to work from your remote connecting to do not stop doing your activities. Actually there is nothing that I do not like about this application because it facilitates many things in our working life, if for some reason you need to perform a remote job you could do it simply by connecting with this remote application so efficiently. My recommendations would be to continue in the direction in which they go as they greatly facilitate the working life of several people in a simple way and without any problems. Effective way to minimize everyday problems. The benefits is that you can enjoy a vacation and at the same time be connected to your office, in my work we travel a lot through the branches that are in other states so we can be somewhere else but connected in the office. It is very easy to use and in my point of view is one of the best. "AnyDesk un software de control remoto flexible y ademas seguro." AnyDesk es una herramienta de escritorio remoto muy fácil de usar, con una interfaz de usuario intuitiva fácil de manejar y navegar, ademas es una herramienta multiplataforma (Linux, Windows, Mac OS, FreeBSD, iOS o Android) sumamente ligera (2,8 mb). Esta increíble aplicación te da el control total de la pc con la que se este interconectados, sin importar su ubicación geográfica, de igual forma te brinda la posibilidad de de realizar todo tipo de acciones, incluida la transferencia de archivos de un equipo a otro. Hasta la fecha mi experiencia con AnyDesk ha sido totalmente satisfactoria, sin duda es una aplicación sumamente útil, ademas es muy flexible y puede usarse para todo tipo de tareas y para usos continuados sin dificultad. AnyDesk es una herramienta de acceso remoto increíble, la cual te permite controlar la pc con la que se este interconectados, sin importar tu ubicación geográfica, de igual forma te brinda la posibilidad de realizar todo tipo de acciones, incluida la transferencia de archivos de un equipo a otro. Recomiendo abiertamente esta aplicación ya que es una herramienta sumamente útil y puede usarse para todo tipo de tareas y para usos continuados sin dificultad. Posee una interfaz de usuario muy intuitiva y fácil de manejar, ademas te permite disfrutar de los archivos contenidos en tu ordenador desde cualquier lugar y te brindará la posibilidad de de realizar todo tipo de acciones, incluida la transferencia de archivos de un equipo a otro, es una herramienta multiplataforma (Linux, Windows, Mac OS, FreeBSD, iOS o Android) y es ligera (2,8 mb) y no ocupa mucho espacio en el ordenador. "Anydesk is best for screen sharing "
"AnyDesk is a Convenient and Less Costly Remote Desktop Software"
With a stable internet, we are able to connect computers remotely and access our teams work using AnyDesk. The convenience of AnyDesk has made me like the tool a lot. Compared to other remote desktop connection tools, AnyDesk is the best because it has an outstanding interface. AnyDesk is secure, which satisfies me. When using AnyDesk, I am yet to find anything intimidating about it. It has great features, well-organized interface and great technical team. AnyDesk is a suitable remote desktop connection tool for all. It will be convenient to the prospective customers because of its affordability. In fact, the tool is very fast, hence, highly recommendable tool. AnyDesk has been like a life saver to us because no matter how far apart we are as a team, we are able to work together through connecting our PCs. We are also able to access files remotely. AnyDesk is also helpful for sharing files. It takes seconds to share files using AnyDesk. "software for remote access to work teams"
"A Helpful Remote Desktop Connection Tool"
First, I like AnyDesk because it accomplishes our needs. The Tool allows us to offer great remote support to our colleagues. Connecting computers remotely with AnyDesk is an easy thing to do. The flexibility of AnyDesk is another magical attribute that makes it exceptional. Moreover, AnyDesk is an affordable online tool. Because AnyDesk accomplishes our remote connection needs, I cannot find any reason why I should hate the tool. It has been helping us for long to connect PCs remotely. Therefore, it is great. For us, AnyDesk is a must-have tool because it has the right capabilities. I know the potential clients of AnyDesk will also like the tool because it is highly affordable. Also, unlike other tools, using AnyDesk is extremely easy and straightforward. Installing it takes no time. We offer remote IT support and other services remotely using AnyDesk. The support we offer remotely to any member of our team is what promotes cohesion or collaboration in our organization. Therefore, AnyDesk is so helpful to our team. You can only use this software through a fairly good internet connection, it is not possible to use it in the form of a LAN network connection as provided by other software of this style. It is also complicated to transfer files from one computer to another, since aesthetically the design of anydesk is complicated or not easy to manipulate. When you are out of the place where the fault occurs, a remote access is necessary to correct the faults that appear with the help of anydesk it is possible to solve this fault. This excellent tool allows us to access the equipment with an internet connection at both ends. Just adding the ID that generates one of the equipment is enough to connect and take control of the other equipment and perform any configuration. One of the failures at the moment when you need a configuration with administrator permissions ciera the session losing the connection of the team to be able to configure it. Also, the speed of administration will depend on the speed of the internet, if your internet connection is slow your access will be slow in the same way. It is lightweight and has a portable option which means that you do not have to download it on each computer, but with the simple fact of having it on a pendrive or a portable unit that you can use without any type of restriction and with all its modules or modules. 100% functional options as long as there is a clear internet connection this is also that the connections made are quite fast in comparison with other sofwares or systems of the same type Once a session is started, several functions can be performed, such as sharing the control of the mouse and the keyboard, taking screenshots of the desktop in a comfortable way, in my opinion. Anydesk is awesome, theyt are capable of compressing and transferring image data between computers, just as no product of the competition is capable of doing som and many other features improving our team efficiency. In another hand I cant stress enough to mention how this tool is gives security, because with Anydesk you can control who acquires access to your computer by desks with white lists of trusted contacts. This is excellent because guarantees that only authorized people can establish a connection. The learning curve sometimes causes a little headache, but in minutes you will understand the layout, because they are always improving and testing new layouts. Can't mention really something else because since we use this tool it has been a game changer for us. If you are searching for an outstanding tool and scale your bussiness, then Anydesk is for you, they also provide TLS 1.2 technology that breaks standards, protecting your computer from unauthorized access. Real-time collaboration, it is just outstanding, before it was very difficult to manage, but now with Anydesk we can collaborate with our colleagues and communicate easily, both in meetings and online presentations and working on the same document from any geo location. 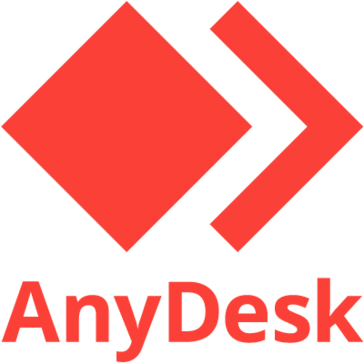 AnyDesk is easy to use, quick to install and relatively cheap. Also, the secure file sharing feature is a good thing about AnyDesk. Additionally, there is no much authorization required to connect with the secondary computer, all you need is an address (A 9-digit code). Most importantly, the software does not allow unauthorized access since the user on the other end has to accept your connection request. I like everything about AnyDesk since it solves my Primary function of remote computer access. I would recommend AnyDesk to businesses looking for a convenient and affordable remote computer access. With AnyDesk set in the right path, you can be confident that your coporate goals will be in the same direction. Mostly, we use AnyDesk for Real-time customer support when our customer have a hitch in accessing our services. Even more, from my office, I connect with computers in other departments to send daily reports, subscriptions and so much more. As a result, we have been able to solve problems related to geographical limitations. "Best Software to access remote screen "
With the assistance of the device anydesk I get to the hardware that is outside the inside system and there is no real way to get to it through remote work area. The anydsk device gives me the answer for remotely get to the PC with a web association. To get to the hardware just the ID of the gear that we need to get to and send the solicitation is put, the remote PC will get an entrance demand where the client must acknowledge the solicitation to assume responsibility for the gear and oversee it. Remote associations demonstrate some gradualness while overseeing remote hardware and anydesk isn't a device that gets away from this standard. The reaction time is straightforwardly corresponding to the speed of the web association of the two clients, in the event that one of the two clients presents gradualness in the web access the association will be influenced for that session. One more of the shortcomings of anysdesk is when making a design that requires the rise of the manager the association is shut. I like how small the client file is for my customers to download, and how easy it is for them to install. Unlike other remote desktop solutions I don't need to talk them through a complicated setup process - it's just ready to go. I don't like how sometime I don't have the ability to click on their screen, but have no explanation as to why. Is it because they're moving the mouse too? Or because they haven't granted permission? More detail would be great. Stop thinking that there's only one solution with Team Viewer - it's not! Any Desk is easier for you and your customers, and handles tasks equally as well. As soon as you start using AnyDesk you'll see how easy it is to create branded desktop client for your customers and offer them an experience which is unparalleled. Helping our customers use the software we develop for them and seeing everything from their perspective helps us pick up things we might otherwise miss. For example a bug may appear in some software that we've designed that only impacts smaller screens and we wouldn't realise without having a look ourselves. "AnyDesk es el software de escritorio remoto más rápido del mercado." La navegación con pestañas, los menús condensados ​​y ocultos hacen que AnyDesk sea muy fácil de usar. Gracias a esta gran Herramienta puedo Acceder a todos mis programas, documentos y archivos desde cualquier lugar, sin tener que confiar mis datos a un servicio en la nube. Sin duda es una gran aplicación multiplataforma para brindar o recibir asistencia remota o acceso desatendido. Hasta la fecha mi experiencia con AnyDesk ha sido completamente satisfactoria, no hay nada que me disguste de esta gran herramienta de acceso remoto. AnyDesk es la opción ideal para para ofrecer soporte técnico de manera remota sin importar el lugar donde te encuentres,de igual forma es una aplicación con una interfraz muy rápida y fácil de usar, y ademas esta gran aplicación Soporta transferencias de archivos y funciona sin tener que reenviar puertos en un enrutador. No existen Razones para no recomendar esta gran aplicación. Es una solución muy util y económica. Acceso a distancia sin limitaciones físicas y en cualquier momento, Acceder a todo tipo de programas, documentos y archivos desde cualquier lugar, accesos remotos ligeros y mucho mas rápidos, AnyDesk funciona sin tener que reenviar puertos en un enrutador. "Lets connect to remote desktops with AnyDesk." I like how possible it is for me as a team leader to use AnyDesk software to provide remote assistance to team members and to collaborate on files and documents.I love the way AnyDesk supports unattended access.This software also enhances great security thus becoming free from hackers attacks.Again this software allows automatic updates.Furthermore its very fast,easy to use and very intuitive software thus navigation is easy. I have zero dislike for the time I have been using this software simply because its very complete software with advanced features and its easy to use even when having less knowledge about it. It's a more complete software that connects remotes computers with ease and speed hence I recommend it 100% to others. Allow to solve alot of support problems with me teams. Enhances great team collaboration by sharing of files and documents with colleagues. It's easy to train team members through simultaneous connection. "Any work area closer than face to face"
This apparatus is valuable to have remote associations with any PC. It likewise permits to pass documents starting with one PC then onto the next in a controlled way. Furthermore I can spare every single remote association without having an ID and secret word memory, I can just have the association every day. I don't care for that occasionally it hangs and loses the association. additionally loses the association with the mouse and console, rely upon somebody at the opposite end to acknowledge the association and keep taking a shot at that PC. Some of the time I have to contact the opposite end once more, superfluously, except if I spare a foreordained secret word. I prescribe that the device be utilized to associate for remote help. Associate with the outer records of the organization, through the apparatus to give arrange level help. I am keen on this apparatus that enables me to enter and make an association without doing it face to face. "Any work area closer to the help for you." Any work area, control in your grasp remoty on any gadget you need remotely, presently the simplicity of making a consideration or backing is increasingly loose and solid. On account of this device you can complete record exchanges securely. I like that you have accessibility of her whenever. Similarly the association enables you to do it in an all the more cordial way. To such an extent in security. I don't care for that the instrument has a twofold association of assets, for example, with the mouse. since it relies upon the collector not having the capacity to change or make any development. since it can meddle with you. I can not obstruct these assets, realizing that one is the person who controls the PC or last gadget. Extra, it did not depend on an improvement in data transmission. I suggest such a device along these lines, that you can make your backings to your customers whenever where you need. you have security and you give the client certainty to utilize it with no issue. I have tackled issues of outside associations, of the organization, for example, having the capacity to make an association with a pc with association with web and of the equivalent make an extension association with switches, for absence of outer association. It is exceptionally light contrasted with other programming, frameworks or comparative applications It has distinguishing proof numbers that are anything but difficult to recollect other than It offers a compact choice which permits not introducing and correspondence by talk is extremely great, Sharing documents starting with one PC then onto the next is exceptionally straightforward and the sending of data is entirely steady contrasted with different projects which makes it really effective and valuable inside and out. It works just through or with web access on the off chance that you are not associated with the web you won't most likely utilize the apparatus likewise something that is very lacking is the adjustment of fringe hardware, for example, the mouse that if the other client is moving it or something is lost control of it when it is in full association. Can not miss around your work area absolutely is an instinctive and simple to utilize the associations that happens through this framework is genuinely steady and great and with regards to unravel or play out any setup or anything on a removed PC there is no preferred choice over this. The goals of issues of any component in the workstations are exceptionally simple to do through this product also if the hardware in custion is situated in a spot a long way from where this is the best alternative to understand said case being referred to it is fundamental can not miss in the organization. I like how speedy the product reaction is. The slack is exceptionally negligible assuming any and it works all around productively. I use it to offer help and it is anything but difficult to send the individual to anydesk.com and click the single download catch on that page and after that read the 9 digit code back to me. It spares me a great deal of time. The main thing that I can gripe about is that it doesn't take a shot at certain PCs. In any case, my speculation is that it is an authorizations issue. I profoundly suggest any work area due to the fact that it is so quick to interface with another person. Also, one noteworthy thing that encourages me in help is the way that you don't need to introduce anydesk. Introducing it will give you access to administrator privilages anyway you can download and run it in any case. I have observed associating with them to be simpler and a lot quicker than chatting with them via telephone and talk through procedures. What I love the best is it's security, since all our important data, including files and documents, is held in secure data centers in the world, and we never experienced a theft or loss. It is awesome that the connection to the remote desktop is protected by encryption technology, which eliminates the risk of hacking and other data loss cases that once happened with our network work. Only the idea of depending on third-party computers, but as long as they have strong and reliable internet connections available to them all will be ok, I think Anydesk for sure complies with that. Then I really like all, and they are permanently improving the tool. If you are seeking for high-quality remote access and encrypted communication tools; to ensure the protection of the organization’s sensitive information, Anydesk is for you. Before it was a struggle to have a team working remotely, with Anydesk our workers are able to perform their duties literally anywhere at any time. The only thing needed is a computer and a secure internet connection, which adds to the kind of freedom and flexibility which is great. I also like that there is a full file transfer utility built into AnyDesk. Considering that some remote access tools only support file transfers through copy/paste. "100% recomendado Anydesk, para Gestion Empresarial"
1. Libre conectividad, siempre y cuando se le indique una contraseña. 2. No varia las claves de acceso con cada conexión. 5. puedes interactuar directamente con el usuario emisor de la conexión, por medio escrito. 6. puedes ingresar al equipo remoto sin necesidad que un tercero autorice o supervise la conexión, mientras se hayan habilitado las opciones para dicha conexión. 1. Cuando no existen permisos altos en windows, en el equipo remoto donde me conecto, el engorrosa la conexión, genera demora en la comunicación entre equipos, obliga al usuario que recibe la conexión ( posiblemente usuario que desconoce los procesos) ayudar al soportista, y eso genera retrasos. - 100% recomendado, para agilizar procesos empresariales, resolver inconveniente a distancia. 1. Soporte al instante de los inconvenientes de la empresa. 2. Comunicación directa entre sucursales, que se encuentran a kilómetros de distancia. 4. Transferencia de información, hasta los momentos, no he conseguido el limite para el tamaño de los archivos enviados, y la rapidez del envio es sorprendente. "AnyDesk una execelente herramienta de acceso remoto"
AnyDesk es una formidable herramienta de acceso remoto, la cual es exageradamente ligera (apenas 2,1 mb), La cual puede utilizar en equipos desde Windows 7 hasta el Windows 10, ademas esta disponible para Linux, macOS, Android y iOS. La mayor fortaleza de esta aplicación es su facilidad de uso y ademas posee una interfraz muy rápida y facil de navegar. Hasta la fecha no he tenido ningún inconveniente con esta gran herramienta, la cual es muy útil y fácil de usar y ademas te permite tener a acceso remoto sin importar tu ubicación geográfica. AnyDesk es una herramienta muy fácil de usar y ademas es ligera , la cual te permite tener acceso remoto si importar en el lugar donde te encuentres, esta herramienta sin duda es de gran ayuda a la hora de ofrecer o recibir soporte técnico remoto de manera efectiva, ademas su precio lo hace es una solución económica pero altamente efectiva. la recomiendo sin reservas. Acceso instantáneo a la computadora con solo un código numérico y un indicador de pantalla. ademas con esta herramienta puedes Ofrecer o Recibir Soporte técnico de manera remota, sin importar en el lugar donde te encuentres, también puedes transferir archivos y funciona sin tener que reenviar puertos en un enrutador . * We monitor all AnyDesk reviews to prevent fraudulent reviews and keep review quality high. We do not post reviews by company employees or direct competitors. Validated reviews require the user to submit a screenshot of the product containing their user ID, in order to verify a user is an actual user of the product. Hi there! Are you looking to implement a solution like AnyDesk?